The PADI Discover Scuba Diving Experience (ages 10+) & the PADI Bubble Maker Program* (ages 8-9) are one of our most popular diving activities here in Cyprus. 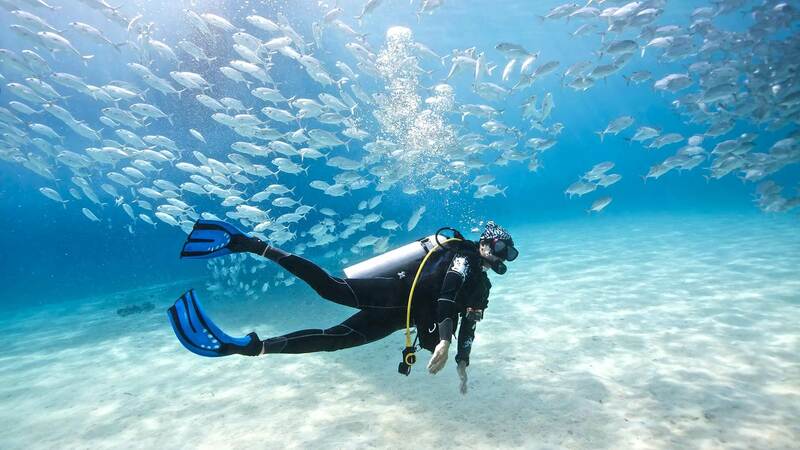 The warm, calm, clear waters of the Mediterranean Sea offer ideal conditions to introduce you to the wonders of the underwater world even if you have never dived before. On the day of your experience you will be picked up from your hotel and taken to our dive centre at the Pavlo Napa Hotel. Here you will be introduced to your Instructor(s), and you will be given a fun and informative pre-dive briefing. After the briefing you will be shown and learn a little bit about the equipment you will be using. Once you are all kitted up and ready, its time to enter the calm bay where you will experience your first amazing breaths in shallow water. Once you are comfortable you will follow your instructor on an underwater tour of a fabulous Sandy Bay reef where you will be given an opportunity to feed the fish and have photos taken. Unlike some other dive centres, we use 12l cylinders allowing an average dive time of 45 minutes at our house reef ( Sandy Bay ), and follow all PADI diving standards. After the dive you will have a chance to chat to your instructor and any further questions you may have will be discussed. Many people decide to carry on from this experience and complete a full International diving course, the choice is yours, whatever you decide you will be taken back to your hotel with a memory that will last you a lifetime.